Need a quick, fun, personalized gift for a friend, family member, or yourself? What’s Your Sign lets you practice your duplicate stitching while creating finished object that you can gift or show off on your own comfy couch at home. Cause who doesn’t know what their sign is? Stitch on those constellations and use up some of your scrap bits of starry yellow and constellation-connecting white! 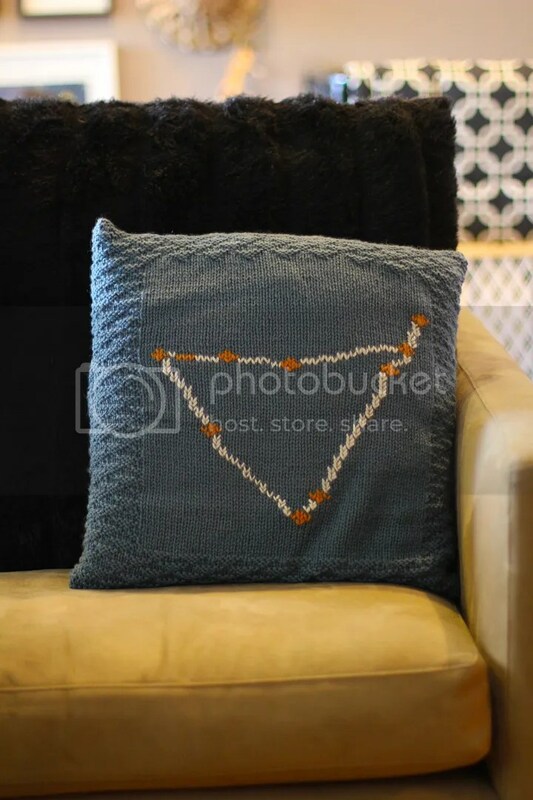 This pillow uses a modest amount of the secondary colours for the stars and constellation “lines”. While each constellation uses a slightly different amount of the secondary colours yellow and white, no matter which you choose to make you should be safe with about 15 yards of each colour. Fits a standard 18×18″ square throw pillow.